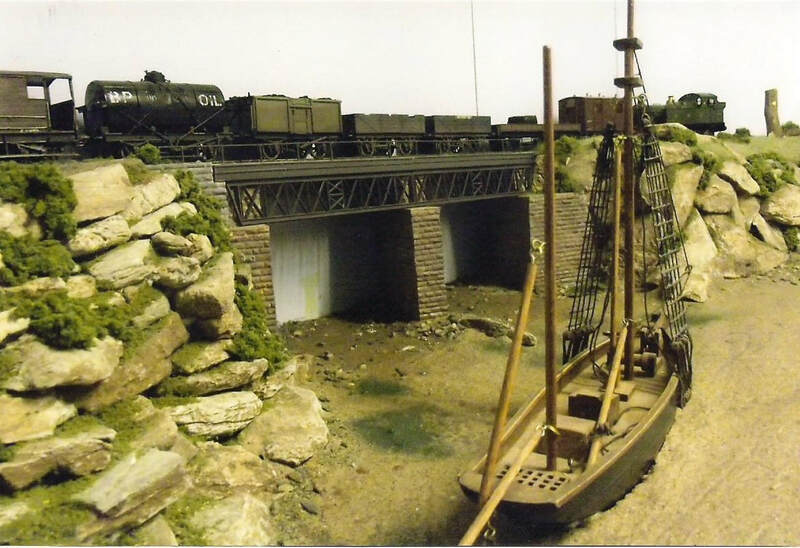 The Culm Valley Model Railway Club, based in Mid Devon, was formed in December 2006, although it wasn't until the beginning of 2007 that the club began it's operations in it's current location. The club currently have an 80' OO gauge DC/DCC test track in the club room with exhibition layouts in O gauge (Uffculme﻿) OO gauge (﻿﻿North-Park﻿,﻿ Chinehurst & North-Hurst) N Gauge ( Extown and Winsbridge) and OO9 (Blackdown). Current projects include a layout of Tiverton Junction. The Club is based in Uffculme, and meet on Thursdays each week from 7.30pm onwards. More information about the club can be found on our YouTube presentation. Members Layout Feature "Much Binding in the Marsh"
A scene on "Much Binding in the Marsh" More pictures in the members layouts section.